Sonny Burch And The Ghost: Who Are These New ‘Ant-Man And The Wasp’ Villains? This years San Diego Comic-Con had a lot of surprises in store for fans. With a Wonder Woman sequel green-lit by DC and Marvel announcing that the Skrulls would have a major role in Captain Marvel, the news just kept on coming for fans of the comic book movie genre. Marvel had already disclosed a few years back that the Ant-Man sequel would be titled #AntManAndTheWasp. Up until this past weekend, we didn’t really have much news to go off of for this film. Thanks to #SDCC, we now have confirming that a former Catwoman would be playing Hank Pym’s wife Janet. Michelle Pfeiffer wasn’t the only casting announcement as Laurence Fishburne will be playing a character named Goliath. Now there is even more news as the two films main villains have also been confirmed. 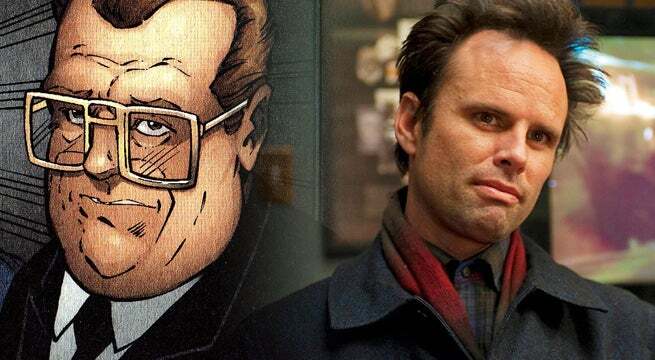 Walton Goggins (Sons of Anarchy) will be playing a #Marvel villain named Sonny Burch and Hannah John-Kamen (Game of Thrones) will be portraying the Ghost. But who are these villains and how may they be used in the movie? Read on to find out! Played by #WaltonGoggins, this Marvel villain first appeared in 2003’s Iron Man 3 Vol. 3. A newer villain in the Marvel comics, Burch is a man who’s considered a supplier to the U.S. government. He’s a weapons contractor and deals mostly in technology and logistics. The man had a strong relation to one of Stark’s colleague’s Obadiah Stane, who was played by Jeff Bridges in the first #MUC film. While the film itself may not make mention of Starks former business partner, the film will most certainly make mention of Cross Industries. Even though Darren Cross’s facility was obliterated in the first Ant-Man film, this doesn’t mean that Burch will somehow try and jump-start the company. After all, he was one of the chairman for Cross Industries and this higher up position should play a major factor in his decision making for this film. Whether or not any connections to #TonyStark are made is yet to be determined. 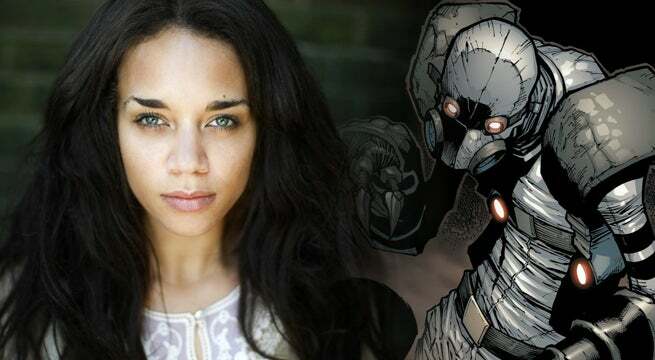 The Ghost played by Hannah John-Kamen is a Marvel comic-book villain who first appeared in 1987’s Iron Man #219. Yet another Iron Man villain, the Ghost was at one point a promising data engineer who created advanced computer chips that could hold more data and rarely overheat. The Ghost named this new technology, GhostTech. The Ghosts’s executives unfortunately used the technology that she created and made themselves even wealthier creating such items such as sports tickets. The Ghost didn’t take this too kindly and infused her body with the technology she created to create a cyberpathic connection for which to gain more access to the systems main computer. The Ghost also once worked for Stark’s corporate villain Justin Hammer with Hammer Industries. She also played a vital role in Marvel’s version of a Suicide Squad called the #Thunderbolts. With having the power to go through firewall’s, find ways into an internet security, and hack into just about any network makes the #Ghost a challenging foe. Her special suit enables her to do just along with stealth by utilizing a cloaking device. Intangibility is also a unique characteristic that makes this Marvel villain extremely dangerous. Ant-Man and his partner the Wasp are going to have their hands full against this foe. How May These 2 Villains Be Utilized In The Film? With little story to go off of, there’s not much we can decipher right now. However, if the powers, abilities, and bios are anything to go off of, we can at least expect what appears to be another heist film. The first #AntMan film was just that as Hank Pym needed someone to steal his Pym Particle technology back away from harms way. Thankfully #PaulRudds Ant-Man was successful. With a man who’s a weapons supplier for the U.S. government and a woman who’s extremely smart with technology, it will be up to Ant-Man and the Wasp to take these villains down and stop whatever it is they’re trying to do. Like some of the other people who’ve worked for the U.S. government in the MCU, could Burch secretly be working for H.Y.D.R.A.? I’d say it’s a strong possibility and certainly one we’ll all have to keep our eyes on. So what do you think of Ant-Man And The Wasp’s two announced villains? Do you think either of these will be memorable or just more disappointments in a long line-up of villains? Please share your thoughts in the comment section below!